TIBCO recently released the latest version of its business intelligence software – Spotfire 7.5 . With it, come important updates that bring us Data Source Connectors and updates to TIBCO Spotfire Server. Below we take a first look at what’s new in Spotfire 7.5. To read our detailed description of the latest functionalities, visit here. Greatly simplifying the process of connecting to data, Spotfire Drivers are now available to speed up the process of obtaining the correct driver for installation. The Admin user can limit the amount of data connectors can import, thus protecting Web Player Services from running out of memory. Salesforce.com Connector – allows for data loads from both reports and data tables from Salesforce.com into Spotfire. Spotfire Native Connector – now supports the Redshift ODBC driver (introduced by Amazon Web Services). The TIBCO Spotfire Server has gone through major changes to allow easier scalability and growth. From these updates emerges an entirely new topology, with a service oriented architecture and a single place to handle all nodes and services available, including any Web Player and Automation Services instances. The Nodes & Services page allows the administrator to manage scalability quickly and easily particularly for large companies with many users. The Scheduling & Routing page is used to manage easily the platform, make sure data is up-to-date, that the correct people receive correct data, via self-service. The Monitoring & Diagnostics page is used to manage the platform as well as identifying and resolving problems using self-service. To learn more and get the details on these updates, visit our What’s New In Spotfire 7.5 section. 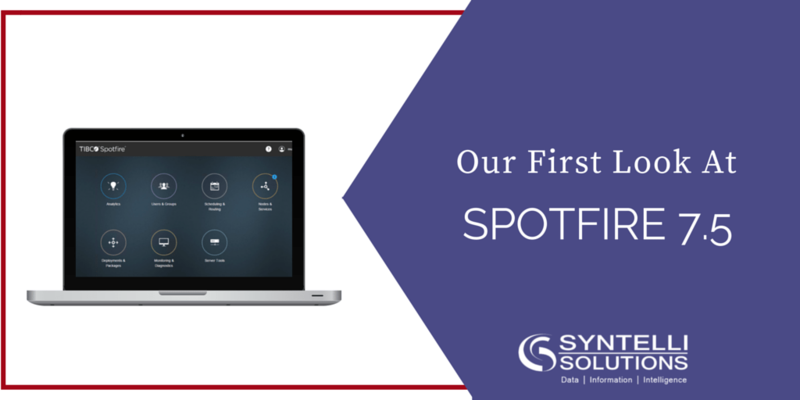 Interested in upgrading to Spotfire 7.5 right away? Drop us a line, and one of our data wizards will be in touch. About Hrishikesh: Hrishikesh provides solutions to big-data problems related to Hadoop ecosystem components like MapReduce, YARN, HDFS, HBASE, Oozie, Sqoop, Hive, Pig and Flume and provide architectural solutions to configure the Hadoop ecosystem from scratch. Currently, he is focused on integrating BI tools like Spotfire into the Hadoop Ecosystem. 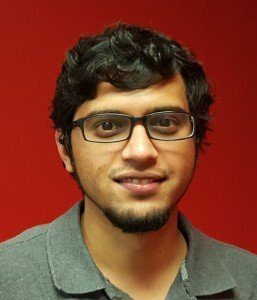 He received his M.S in Computer Science engineering from University of North Carolina at Charlotte and he was a Teaching Assistant for Algorithms and Data Structures and Mobile Application Development. Hrishikesh’s future goals and interests are to integrate Big-Data with mobile devices, Visual Analytics and learning different Hadoop Architectures.